I knew that we women from the BSE/EMS have been called "pioneers," but I was really pleased when someone who reads our blogs called us "Warriors." 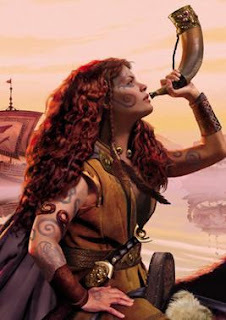 I was reminded of Boudicca who led her Celtic/Eastern European people against the might of Rome. That was a "David and Goliath" confrontation if there ever was one. That's what is happening with us. We are not only having to fight a large, government-sanctioned industry, but, too often, we find ourselves in wrangles with our sister moms that lead to nothing and take time and energy. We are talking about justice and it seems that comes in small measure these days. It's hard to win and harder to keep. We had our human and civil rights abused with impunity and a surreal kind of cruelty. The fact that even our parents, who loved us, for the most part, who carried us and fed us and made sure we did our homework, were complicit in this injustice made it even harder to bear. People still say, "Well that is just the way things were, back then." To which I will reply, " Slavery was the way things were up until the end of the Civil war. Does that make it right or just?" Blaming injustice on the social climate is ridiculous, especially when the social climate CAUSED the injustice to be perpetrated so overtly. There are still the crude, sneering hardasses who will make reference to the fact that we didn't have to spread our legs. Most of these are the men who begged us for that leg-spreading. Most of us were in monogamous relationships, at least, in my case, on my part, many of us were raped and many had been molested over a period of years and were pregnant by family friends or family members. We were punished because their lust and disregard for our feelings, dignity and worth showed itself in the thickening of our waistlines and the withdrawal from schools, jobs, homes, as we were sent into exile. I know one mother who stayed at home, but was banished to the cellar steps whenever company arrived. Fighting injustice, in any form, is a good fight. Even though Boudicca didn't prevail and was killed in battle, she fought the good fight and, eventually, her people formed their own nations and governments and Rome fell like a rock. We might not see any changes in our lifetime. In Australia, Origins NSW, has the government of that country on the run and it is about the mothers of their BSE. The government has issued an apology, but it has not been enough for the mothers of that country. They are still flying their full battle colors and I cheer them on. The US was predicated on very Puritanical mores and there has never been a female head of state even though there have been many in other "less progressive" nations. I put that in quotes, because, socially, we are a reactionary laughing-stock. Hell, Boudicca was a military general in 49AD. As long as there are those of us who will remain in battle to the ultimate conclusion, there is hope that we can bring the US and its state and federal governments to a point of, at least, examining the devastation that was wreaked, with their blessings, upon the vulnerable and the disenfranchised young, single mothers. "Unwed Mother" is a dinosaur of a phrase and concept and there is no such thing as an illegitimate child. Nature doesn't care whether or not there is a marriage. The only ones who care are those who are arrogant in their judgments and cold in their hearts. Like it or not, this fight is not going to end. If I have to be brought to the steps of Congress in a wheel-chair and on oxygen, there will be a reckoning. I'm tired of the stigma, the stonewalling, the infighting and the nay-sayers. Do your own thing, rock on with your bad self, whatever floats your boat. But get out of our way. If you don't like the message, take it up with your conscience. The fight for justice never ends.Just a point, the WA Government is not 'on the run', doesn't have to be, it's not the way things work here.Probably incomprehensible to anyone else but we tell 'em, they listen and they act.In theory, sometimes they need telling and convincing but they are accountable to the people, all of them, mothers and adoptees included. The apology will be in September, it hasn't happened yet and is eagerly awaited. All of us will always have to fly our colours, the stigma and discrimination will never end even in a country like ours. I wish it weren't so, Von. But this is the worst country in the world to be female, pregnant, single, young, poor or adopted.